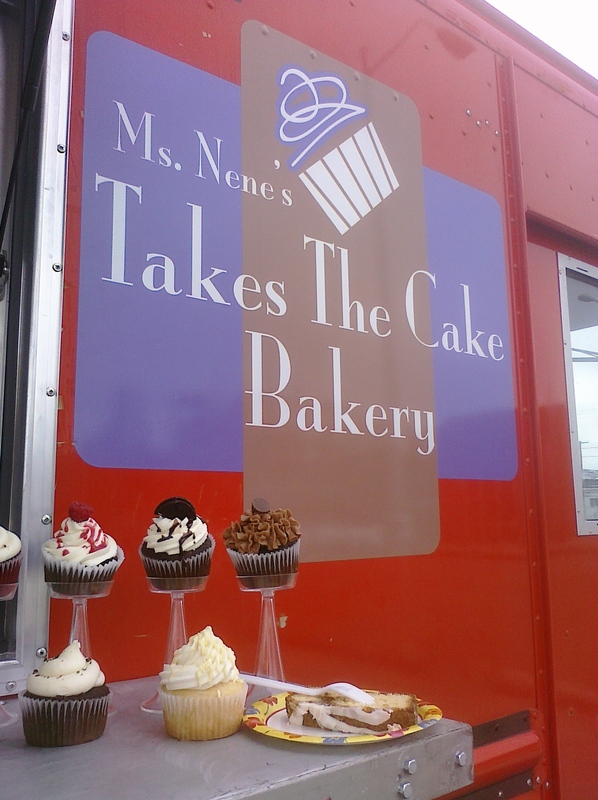 A friend of mine told me about a sign she saw in North Kansas City “Kansas City’s best cupcakes”. Wondering why I hadn’t heard about this place before, I set out on an adventure to find this bakery! Since I really had no idea where I was going, it took me a couple of times driving up and down Oak Trafficway until I found this sign. Then, like a ray of sunshine, I see a small sign boasting about the city’s best cupcakes. No wonder I missed it, Wally’s Pastry Shop is just a tiny hole-in-the-wall German bakery. Walking into the store, I was greeted by an adorable elderly couple. The lady walked slowly back to behind the counter and told me about their small case of delicious treats. The two cupcakes they had available was the Pepé Le Pew and the Bear. After the little old lady carefully described each one, I choose to get the Bear. 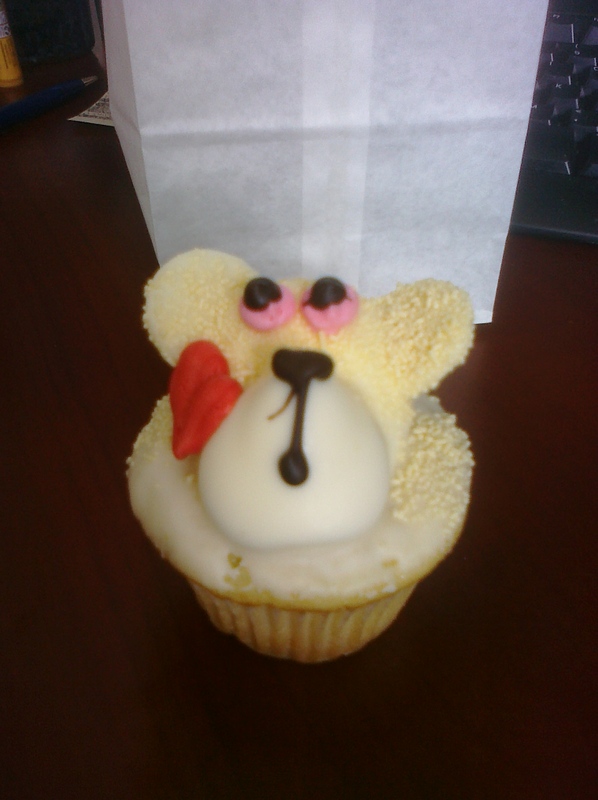 The Bear was a white cake, topped with a bear face white chocolate mold with vanilla buttercream underneath. The cake had a bold, rich flavor. It was heavy, but not in a dense, saturated way. I only got a little taste of the frosting since it was underneath the white chocolate mold. After I crushed the harden chocolate, I got to the smoothest buttercream I’ve ever taste. I thought I’ve tasted pure silk before, but this was a whole different ball game. This was whipped so light, it was as if I was eating sugary air. The one difference with this buttercream compared to a few others was that it was a bit oily. How could you not fall in love with the bear! He’s eyes just look up at you, all cute and innocent. I was not expecting such elaborate decorations, and these were very creative. The entire cupcake complimented itself. The frosting wasn’t sugary sweet. It had just a touch of sweetness that balanced well with the richness of the cake. Overall, there were several flavors playing a part in the cake, and each one played a different note. One thing I noticed in the tiny shop was all the awards the baker Wally had won for his culinary skills. In doing a little internet research about the bakery, I came across this story back in 2000 in the Kansas City Business Journal. 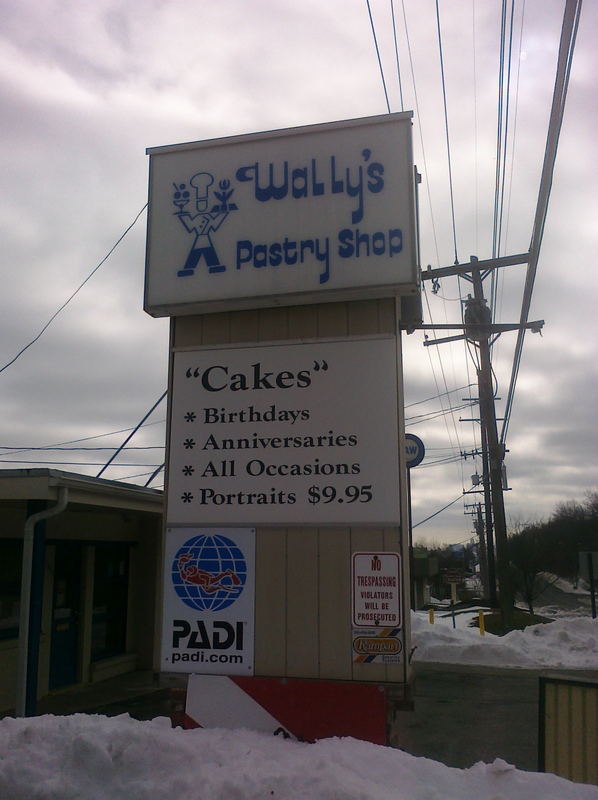 It gives you a little background on Wally and his pastry shop… “Confection Perfection”. For a different sweet experience, give Wally’s a chance. Besides cupcakes, they have a few other pastry items. The petit fours looked absolutely amazing. I think you’ll be pleasantly surprised with one of Kansas City’s best kept secrets. The cake was extremely fluffy and moist. The wedding cake flavor was a great flavor! It almost had this splash of almond taste. Overall, it was light and airy, yet bursting with flavor. And, not to mention, the cake was cooked to perfection – browned at the bottom and golden on top. The classic vanilla frosting was very sweet, however it had a good balance between the butter and sugar taste. Typically I find frostings screaming either one or the other, but this one found a happy medium. Besides being sweet, it was thick and creamy. It was one of those frostings that just melt in your mouth. The white chocolate drizzle was a simple, yet classic look. The drizzle had a yellowish tint, so it appeared darker in color compared to the frosting, which made the overall look classy. Besides, the white chocolate was to die for! I found myself scraping every last bit that I could get! The combo of the cake and frosting was a perfect match. The sweetness of the frosting offset the flavor of the cake. In addition to the cakes, the van sells coffee from E.F. Hobbs. They have a full coffee menu, so all caffeine addicts can get their fix. Besides, what better match for cupcakes than coffee! My friend did get one of their lattes and it was yummy! The van is still getting started. They have been experimenting with stops and are working on putting together cruising schedules. But, both people seem to be fun people and are really enjoying themselves. That’s all part of the cupcake experience! All in all, these cupcakes really did take the cake! *I have to give my friend, Kelley some credit for this blog. Some of the thoughts written came directly from her! Thanks Kelley!